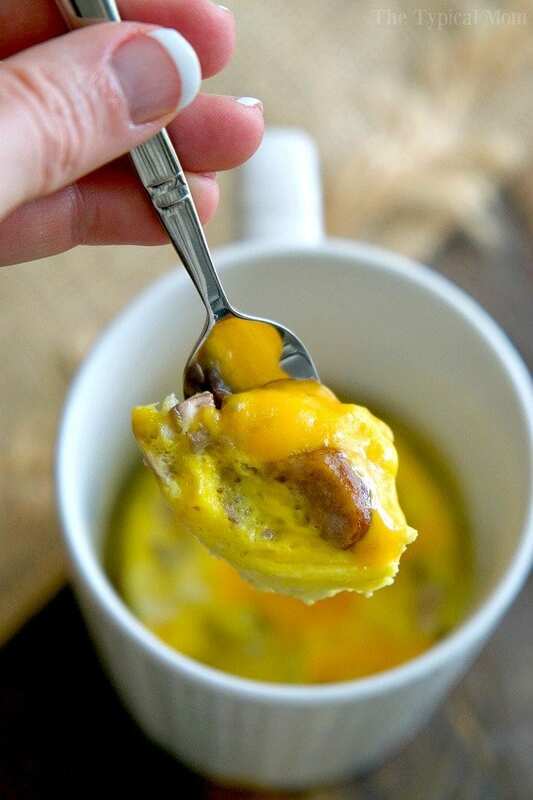 You’ve got to try this 1 1/2 minute omelette in a mug recipe, it’s amazing!! Perfect breakfast in a mug recipe full of protein, my kids love it too! My kids absolutely love being able to cook a quick treats like this strawberry cake in a mug or chocolate chip cookie in a mug after school, and this omelette in a mug is really great for busy mornings (we have a lot of those)! From start to finish you can have a hearty omelette in a mug in about a minute and a half, seriously! I don’t know about you but my kiddos really need something hearty in the morning that will stick with them until snack time which is mid afternoon. A lot of times a piece of toast or cereal doesn’t really cut it. Occasionally they will make a minute cinnamon roll in a mug but when I want them (or me) to load up on protein this is a perfect breakfast mug recipe. You really just whip up 2 eggs, add your ingredients, microwave, add cheese, microwave again, and then enjoy!! I bought these already cooked sausages at the store so they are in the fridge and they can microwave them beforehand for 15 seconds, dice them, add to their mug along side their other favorite items like bacon bits (already cooked and diced in a bag in the fridge too) so everything is handy and it can be cooked really quickly. 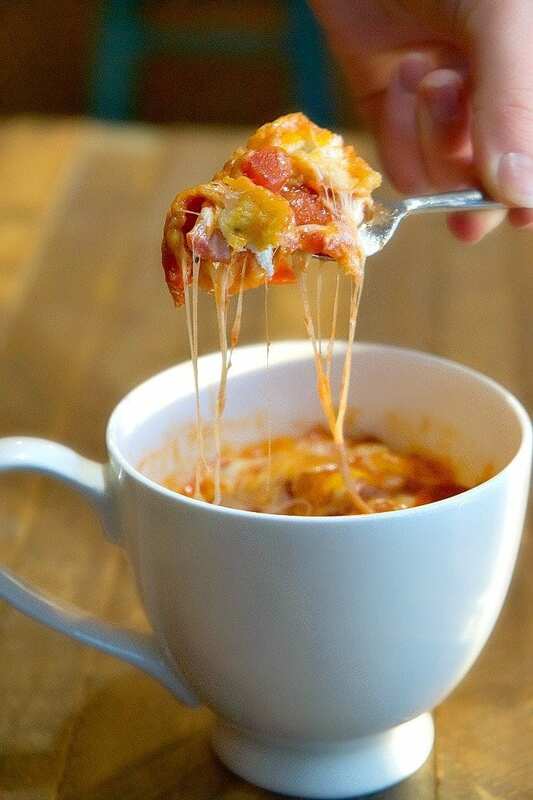 Then try our pizza in a mug for lunch!! 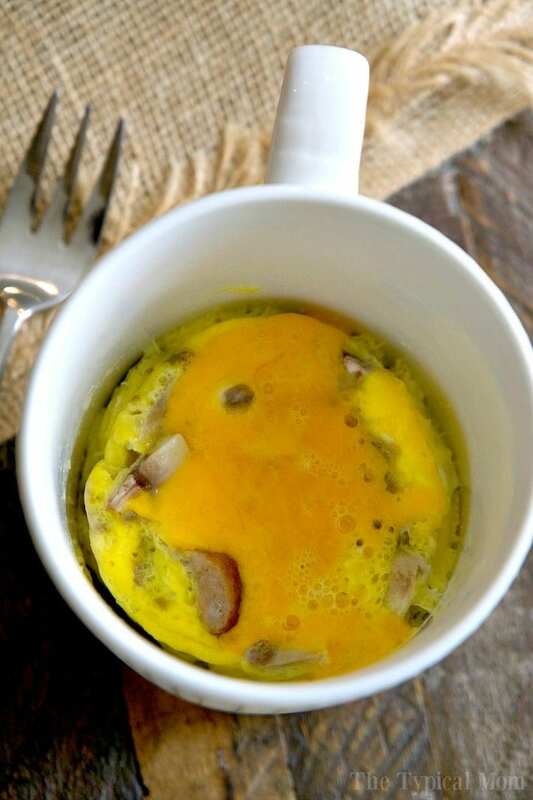 You've got to try this 1 1/2 minute omelette in a mug recipe, it's amazing!! 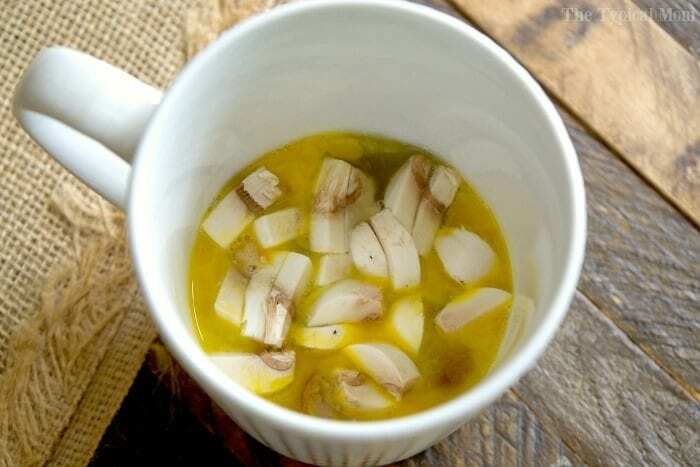 Perfect breakfast in a mug recipe full of protein, my kids love it too! 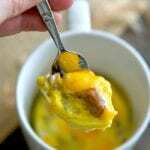 Break eggs into mug and scramble with fork, add all other ingredients desired and stir. Stir mostly cooked omelette after done and sprinkle some cheese on top. This is so brilliant! Perfect for a busy morning!